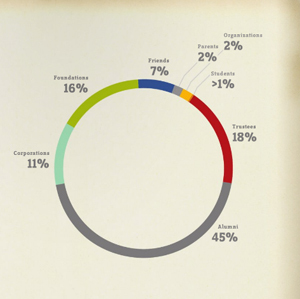 This graph, taken from the 2009-2010 annual report, shows what groups give to Pacific. 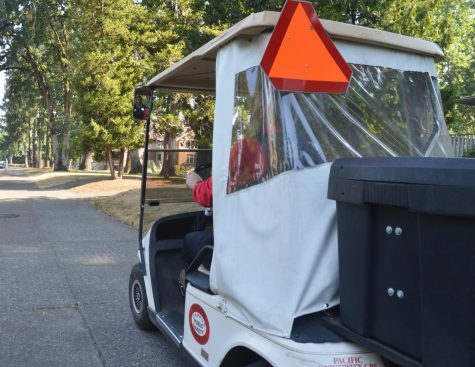 Pacific University’s new fundraising campaign will look to alumni for most of its contributions, but a downward trend in donations may pose a threat to its success. The campaign’s main goal is to generate money to increase the endowment and to fund future university capital projects, including the construction of a new science complex for the Forest Grove campus and a new health professions building for the Hillsboro campus. Vice President of University Relations Phil Akers said the university hopes to raise $40 million for the pair of capital projects and $32 million of it will need to come from Pacific alums. The task is not made any easier by a declining rate of donors. Akers said that contrary to popular belief, most university campaigns are not funded by big corporations, but by university alumni. According to Akers, as recently as 15 years ago nearly 1 in every 3 alumni in country donated to their college or university. Today that figure has dropped to nearly 1 in 7 and at Pacific is closer to one in 10. 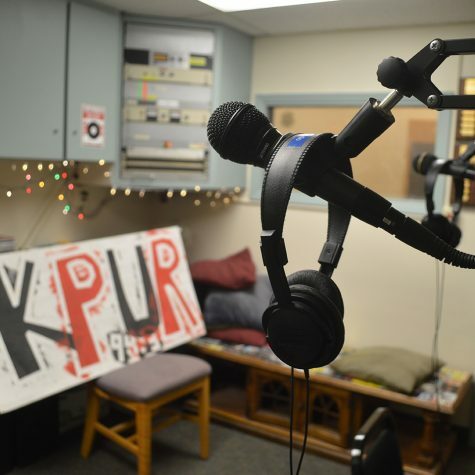 In the midst of a downward spiral of giving, Akers said Pacific University would need to improve its relationship with its alumni in order to get the sort of donations the campaign will need to succeed. “For whatever reason, we’re not inspiring our alumni to give back in the numbers that would be appropriate,” he said. So why is Pacific University’s alumni giving percentage lower than the national average? “There’s millions of reasons for why it could be,” said Akers, but he declined to speculate which ones could be affecting Pacific. However, according to Forest Grove Mayor Pete Truax, who is also a Pacific alumnus, one of the reasons giving is low is because Pacific has a history of neglecting its alumni. 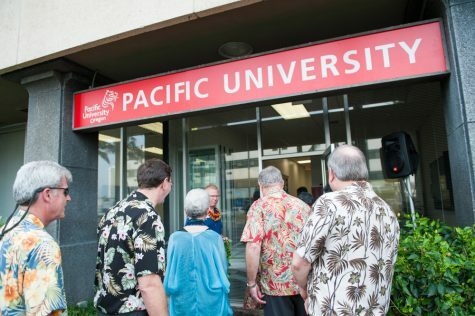 Truax, shared his belief that Pacific’s former administrations had made decisions that severed connections between the university and its graduated students. One of them was dropping the football program in 1989. 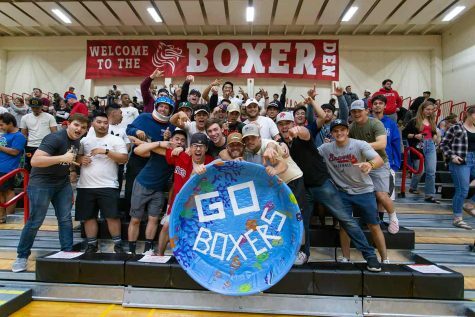 “Alumni grew up with football,” he said, emphasizing the sport as an essential part of Pacific culture. Now, three years later, football is back and Truax said the board was doing better thanks to a more active approach and new alumni director Martha Calus-McLain. In addition, Akers said the university has begun to change its marketing and communication strategies to help reinforce connections with alumni and encourage giving. 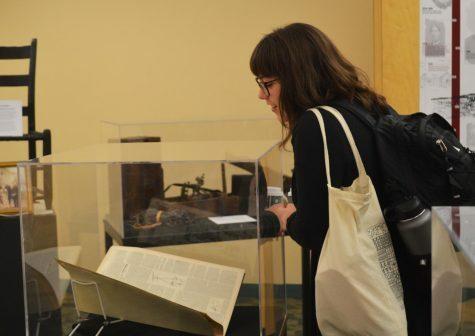 In addition to asking for donations through traditional methods such as mail and phone, the university is increasing time dedicated to connecting with its grads and has created more programs and events for them. Akers said the university is trying to boost other aspects of alumni’s relations with the campus after graduation. He said he’d like to see more alumni volunteering on campus, fundraising for the university, attending sports games and increase their overall involvement in the university post-graduation. However, he noted that while those activities are greatly encouraged, it doesn’t change the fact that the university still has fiscal needs. If all goes as planned and the campaign reaches it’s target, the capital projects are scheduled to begin construction in three to four years, but Akers said it was unclear whether the projects would be on time. Although the capital projects are a central focus for the university, donors are allowed to determine exactly how they would like their funds spent. So taking those new initiatives into account, how much of a dent have alumni made in that $32 million goal? Akers would not offer a specific sum, but conceded that there had been little progress thus far. He did say that the typical gift amount is within the range of $25 to $50. Akers said the university has made steps toward improving relations with its grads, but there is still more that needs to be done. Akers said the university’s goal is to foster that belief into acts of philanthropy.